Well, based on a roaring – if a bit bumpy – year in the bike sharing industry, we are glad to tell you that YES, bike sharing is definitely becoming a thing now. How come? Saddle up and let’s go through how bike sharing went crazy in 2017. This is where it all started. Of course, bike sharing is nothing new, but the incredible boom we’ve seen especially in the past year owes to the emergence of new tech startups developing dockless bike-share systems. Compared to traditional systems built on docking stations, dockless bike sharing brings none of the implementation costs and slow government approval processes, but all the flexibility in distribution and the benefit for the users – who can leave the bike directly at their destination, and don’t need to find an empty dock. Dockless systems are not all the same, however. The ones that grew the fastest in 2017 are completely free-floating, meaning you can leave GPS-tracked bikes literally anywhere you want. While Chinese companies Mobike and ofo are the main purveyors of this model, we also saw notable developments from Singapore-based oBike, Gobee from Hong Kong, and Limebike and Spin in the US. Then there are dockless, but not free-floating bike shares. We call this system hub-centric at Donkey Republic, Hello-Bike in Amsterdam calls it hybrid, while SG Bike uses the term geostations. That’s because these systems don’t use docking stations, but rather virtual parking zones defined though geo-fencing*. 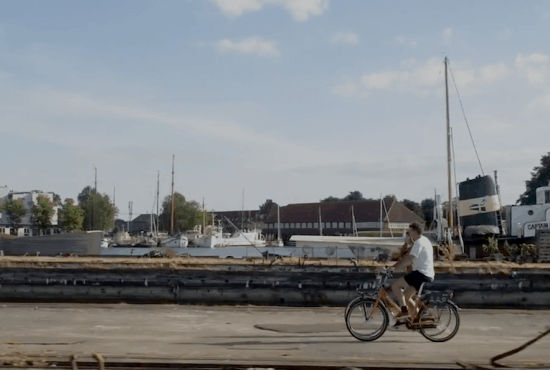 Virtual parking zones are needed in dockless bike-shares to ensure optimal control over bike fleets for both operators and city authorities and to avoid the chaos created by free-floating bikes being parked in unsuitable places. Schemes using a hub-centric model also require less bikes to operate efficiently thanks to a higher predictability in bike availability at specific locations and lower levels of bike loss. And then there are systems like the Call-A-Bike family of Deutsche Bahn or their German competitor Nextbike, which are traditionally station-based but in some cities introduced so-called flex zones to vie with the new wave of dockless bike shares: riders can end their rental anywhere within a certain area but are encouraged to return to specific stations or drop-off zones though reward systems. This technique has gained more popularity – or rather became required – in the past year among other free-floating systems as well. Since the new wave of dockless bike-share startups is privately-funded and not subsidised by city municipalities, we all had to go out and acquire venture capital. It seems to have been a good time for that, because the total known investment in dockless bike share companies worldwide amounted to an incredible $2.6 billion in 2017 (versus only $290 million in 2016). Still, more than $1 billion of that went only to ofo, and another $800 million to Mobike. Their secret? The Chinese companies did what they know best: they started a race for operating scale and market share nationwide, by literally flooding the streets of first-tier cities with millions of low-cost bikes, while counting on their IoT technology and large data platforms (remember, they track every trip you make through GPS) to become attractive to strategic investors. Or at least that’s what experts speculate in their attempt to explain how these companies reached unicorn status in such record time. 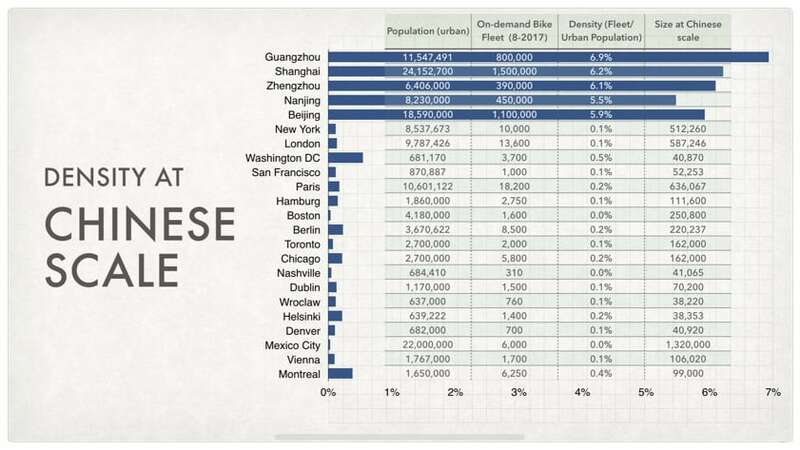 To put things into perspective, here is a comparison between the densities of shared bike fleets in Chinese cities versus western cities – data shared by Horace Dediu, a well-known analyst of disruptive technologies with a knack for bicycles. Away from the Chinese bustle, many other startups secured capital on account of their innovative technology, of promising business models and sound scaling strategies, or maybe even just of the FOMO created by the investment frenzy in China. What’s important is that bike sharing finally got into the spotlight as a legitimate solution for urban transportation challenges and the future of sustainable cities worldwide. With a fertile ground for growth, new bike shares sprung like mushrooms in 2017, while more seasoned players fired all their pedal-powered engines, everyone yearning to become world leaders in green and healthy urban transportation. In China alone, by August there were more than 20 million shared bikes from 50 companies. The US had a more controlled evolution of dockless bike shares, with most cities only allowing companies to enter the market based on permits. Local startups Limebike and Spin started operating throughout the country and were counting 9000 and 4000 bikes respectively by the fall. Meanwhile, ofo began their global expansion and already entered the US with 15.000 bikes. 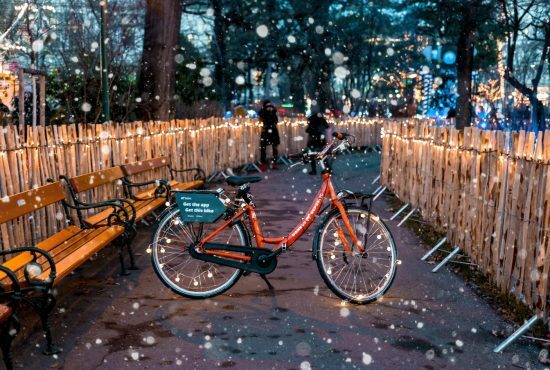 Don’t think that their rival Mobike didn’t get in on the competition – in fact, they also started operating in Washington, D.C, but only with 400 bikes. All in all, that’s a great development for just one year, if you compare it with the growth of US bike sharing in the last 10 years (there were a total of 42.000 shared bikes in cities across the US by the beginning of 2017). In Europe, things seemed to evolve rather heedfully until the Chinese and Singaporean companies came. Donkey Republic expanded the bike fleet to 4000 bikes in many European cities (e.g. Berlin, Munich, Budapest, Vienna, Amsterdam, Rotterdam). Nextbike and Call-a-Bike consolidated their competition in Germany with new Berlin fleets (5000 vs. 3500 bikes) and a flex-zone system. Other local operators include Lithuanian Dropbyke, Dutch FlickBike and newly active Urbo from Dublin. There is also GoBee, born in Hong Kong but with French owners, which after a successful trial in Hong Kong entered France, Belgium and Italy in Autumn. As for the Chinese expansion: ofo started in April with 500 bikes in Cambridge, then came Mobike with 1000 in Manchester, then they both went to Italy with more than 12.000 bikes altogether. All the while, a more unexpected oBike was also rolling out all over Europe, with thousands of bikes literally dropped on the streets, with little to no notice, in Switzerland, the UK, the Netherlands, Austria, Germany, Spain, Belgium, Sweden and Italy. While a few free-floating bikes never killed nobody, so many thousands at once kind of tipped things over. Cities across Europe woke up flooded in thousands of brightly coloured shared bikes and didn’t know what to do with them. Because most of these were dockless, things got messy pretty fast. If you tell people they can park a bike anywhere, they park it EVERYWHERE. Including here, or here. Even if bikes don’t purposely end up in very weird places, they still naturally crowd in high traffic areas, or scattered in people’s courtyards, and rarely get redistributed. For systems like Mobike, ofo or Obike, it’s very cheap to manufacture low-cost bikes, but it would be very expensive to maintain and redistribute them – so they often leave damaged and unused bikes to pile up and churn out new bikes instead. If only this could have been anticipated, right? Thing is, it was totally anticipated: all this and more already happened in China before these companies ever went into Europe or the US in the first place. Right about the time the Mobike, oBike and ofo’s expansion was starting in Europe, images of bike graveyards, like these, or these, were surfacing. The first reaction of the Chinese government was to release a set of guidelines for the regulation of the bike-sharing industry, through which they held local governments responsible to carry out necessary research “to ensure rational allocation of bicycles and avoid excess supply in some areas”, and bike-share companies “to set up electronic fences to guide users to park in an orderly manner and dispose of non-functioning bicycles in a timely fashion”. Then in September 13 major Chinese cities officially prohibited the introduction of new shared bikes. Back in Europe, the Platform for European Bicycle Sharing & Systems (PEBSS) was warning cities and local transport authorities about the threats of “app-based, un-anchored and un-licensed bike share schemes” coming to Europe since July. In August, a London council seized oBike’s rowdy cycles and told the company to “re-think the way their business operates”, although bike fans opposed their decision and condemned them for maintaining a hostile environment for cycling. The same month, Amsterdam – yes, the bike heaven Amsterdam – announced the ban of all bike-share companies from the city, this time after many locals complained about the shared bikes overcrowding the scarce space available for their own bikes. In Munich, where oBike brought 7000 bikes in the summer, people started protesting their messy operation by turning the bikes upside down or damaging them. Things didn’t go better in Italy. But it’s wasn’t all bad. Slowly, things started to fall into place. In November, PEBSS organised a “Cities + Smart Bike Share” workshop to figure out, together with European city officials, a common way to deal with the bike share invasion and make sure we all gain from its benefits and don’t suffer from the shortcomings anymore. 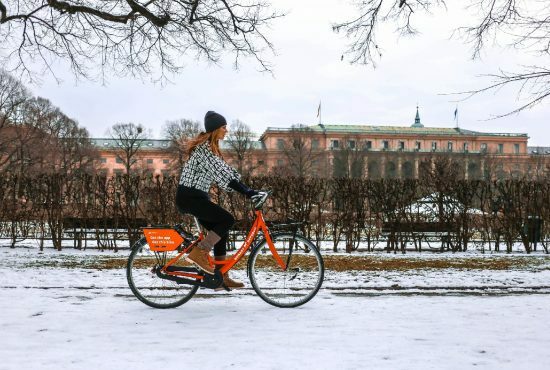 One of their first conclusions was that “cities and regions in Europe need new and shared regulatory frameworks to allow bike share to continue as one of the breakthrough technologies in 21st century mobility. Businesses also need new structures to allow for a level-playing-field in competition and investment and to allow sustainable business models to emerge.” In the UK, BikePlus facilitated an agreement between 7 bike shares (including Donkey Republic) with regards to a modus operandi in a regulated and sustainable bike-sharing market. The recommendations listed in the agreement summarise the vision we ourselves have put forward for an ideal regulatory framework in the bike-sharing industry. One practical way in which we can improve bike-share operations is through the innovative technology we built them on in the first place. At Donkey Republic we fully believe in the advent of dockless bike share, but don’t support the free-floating part. Instead, we recommend using geo-fencing technology to create designated parking areas and thus ensure an orderly distribution of shared bikes in available spaces around the city. You can still leave a bike right at your destination, but in a spot meant for parking, not inside the supermarket. Also, the way our system works is that you can only end your rental once the app receives the location of the bike and confirms it’s parked correctly. We are glad to be the vanguard of sustainable solutions for dockless bike-share systems, which from our talks to city officials see are increasingly needed and have also started to be adopted by other new players over the past year. What can we say? It was an adventurous year for bike share, with many good and bad things happening. We ended it hopeful, with lessons learned for us operators, our riders and the cities we serve, as well as with plenty of ideas and support for how to make bike share orderly and sustainable in 2018. As to what the new year will bring, here are a few things you can expect in 2018: using cryptocurrency to rent bikes, bikes with blockchains, high end electric shared bikes, mergers for market consolidation, new territories to wheel over, more competition, and much more healthy, sustainable, easier and faster transportation all over the world.